Hurricane Irene. Central New Jersey Sunday Afternoon. 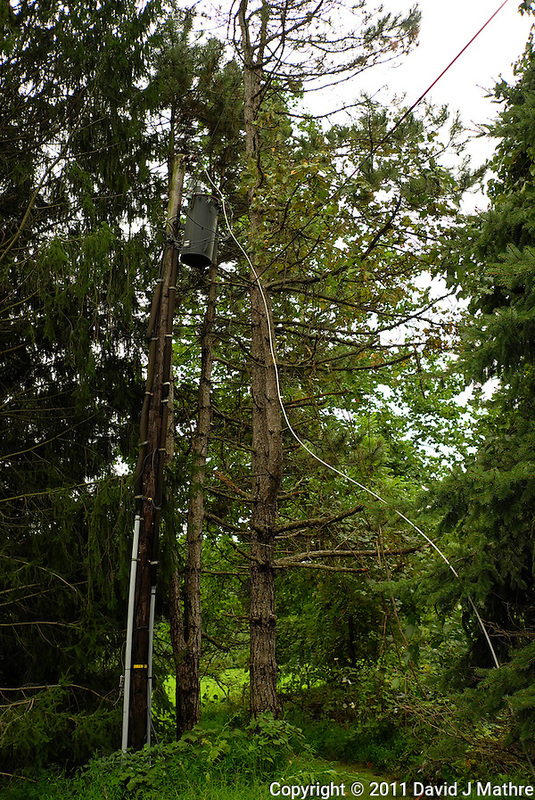 By mid-afternoon, I still was not able to report the downed power lines in my yard. I drove to the nearby High School where there I could get much better ATT wireless Internet reception. 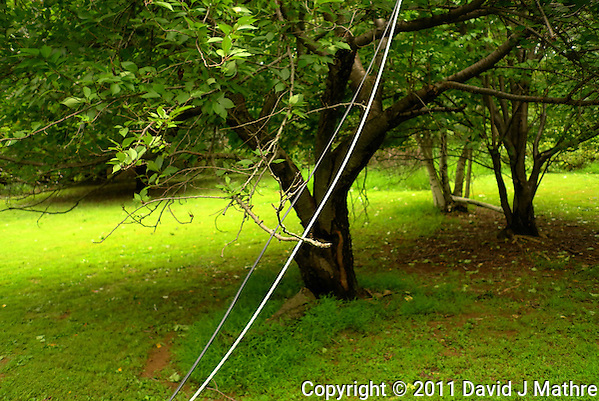 I logged onto the PSE&G site and reported that I didn’t have power and that I had downed wires in the yard. The automated response let me know that they would have power restored by 8 PM 04-September (next Sunday). I figured that I would be living in my RV for the week. 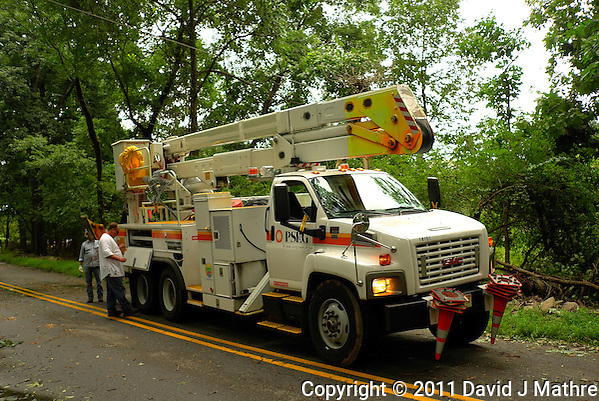 By the time that I got back to the house, I was very surprised to see 3 PSE&G trucks pulling up. It took them some time to free the downed wire from the trees and vines. It was right around this time that the wind and a small amount of rain started up from the back side of the hurricane. 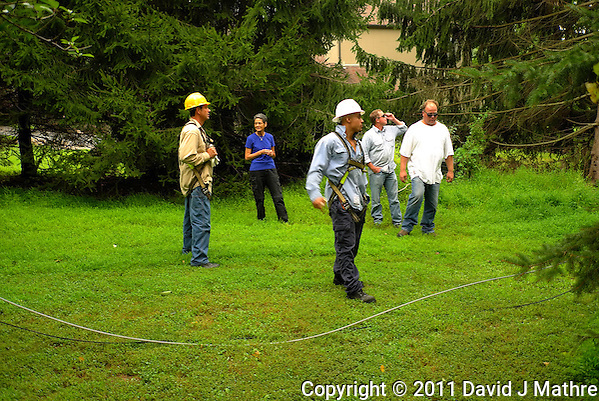 I commend the PSE&G workers for their dedication to be out working before the storm had passed. 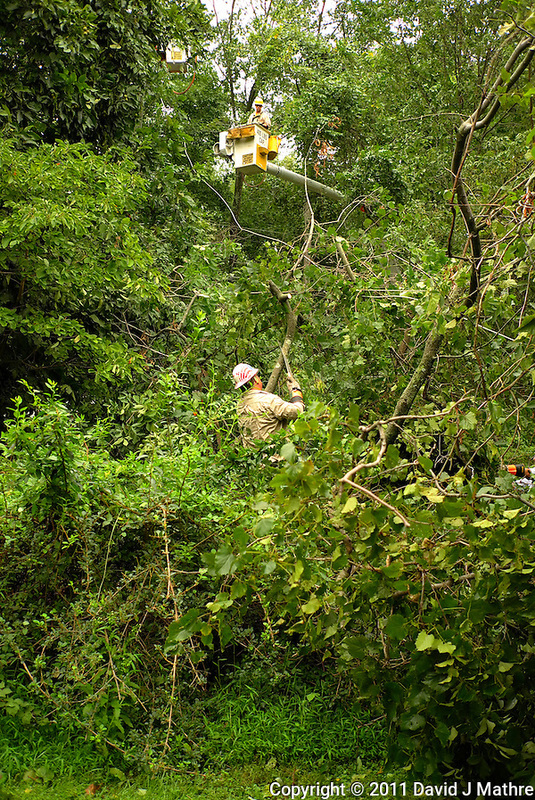 After they completed here, they fixed some other local problems and were able to restore power before it got dark. I feel lucky this time that power was restored this quickly. 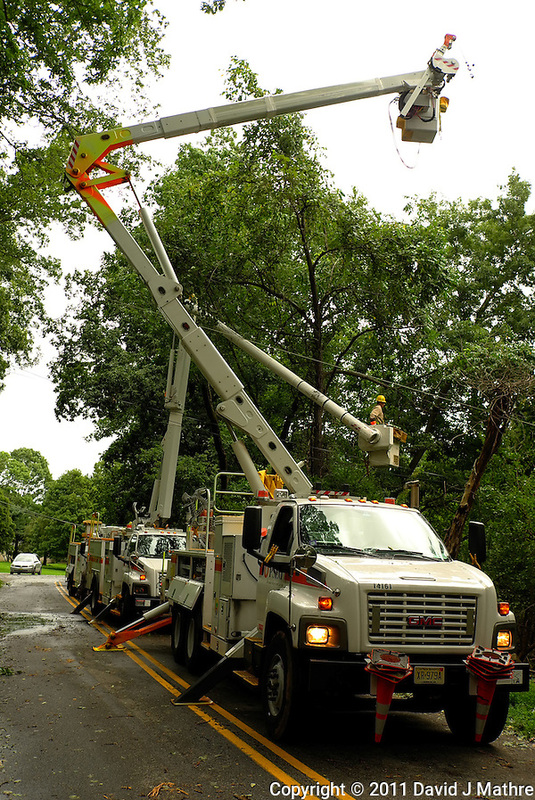 I know that there are many others still without power and the PSE&G crews will be busy for the next several days. The following images were taken with a Leica X1 camera. Images taken with a Nikon D700 camera will be included in another post.